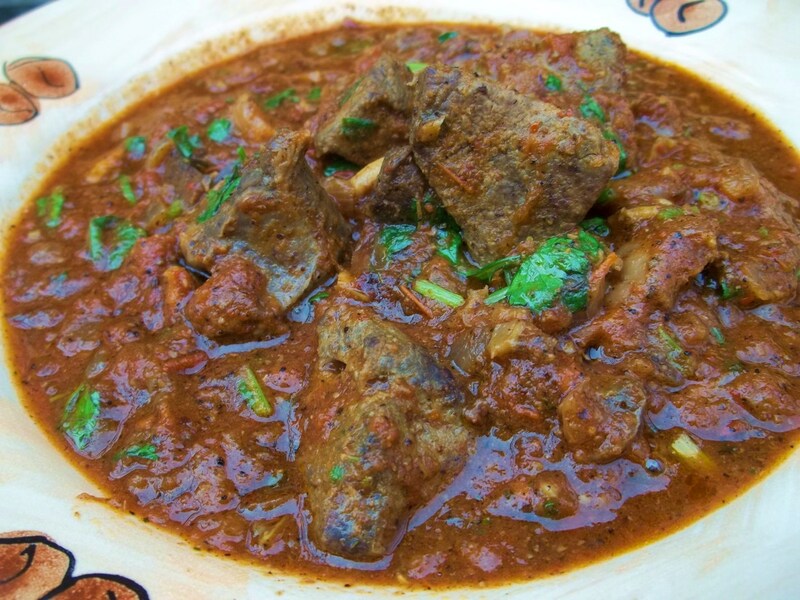 Jigris Khaurma is a popular dish in Eastern Georgia, especially in Kakheti region and is made with the heart, liver, kidneys, spleen and lungs of pigs, young beef or lamb. 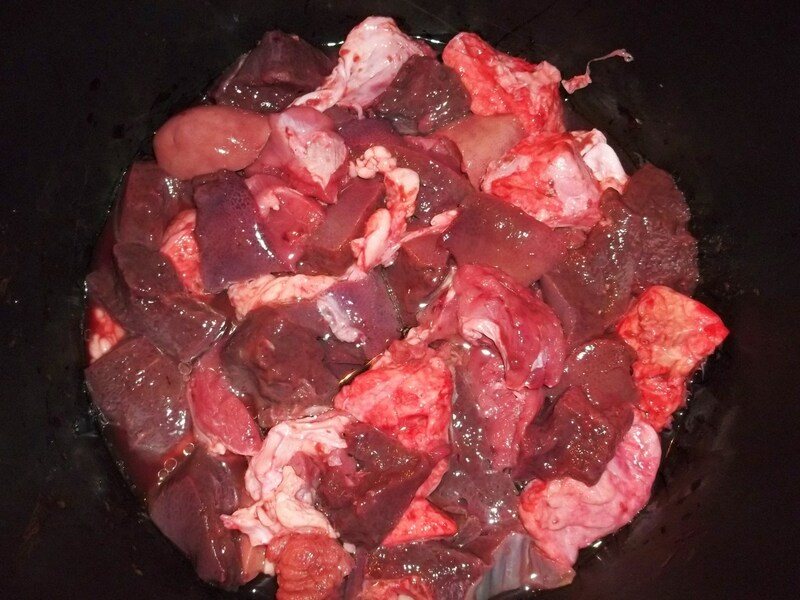 In this recipe we have used pig. 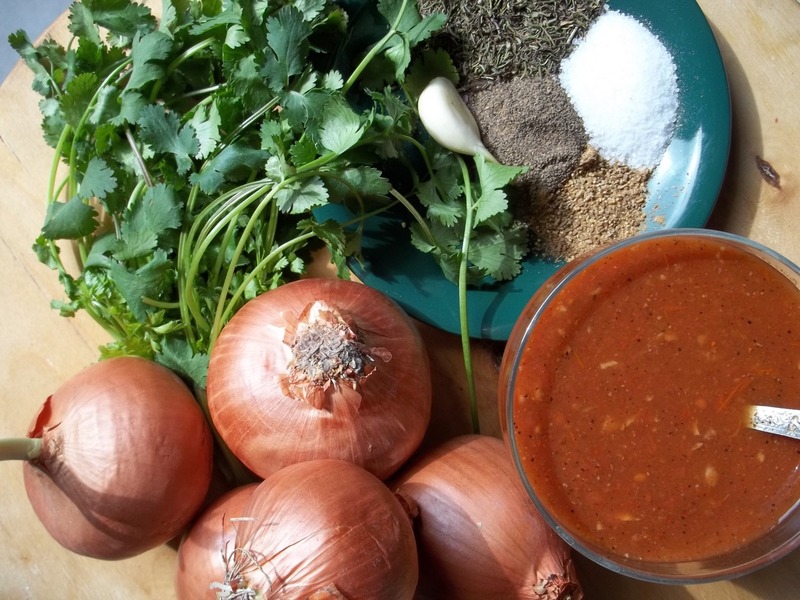 Other ingredients: 300 ml of white wine, 30 grams of fresh green coriander, 350 ml of tomato sauce (we have included a link to our own tomato sauce recipe) or 3 juicy tomatoes, 4 onions, 1 clove of garlic (optional), 2 heaped tsp of dried Summer Savory, 1 level tsp of dried caraway, 1 tbs of black pepper, 4-5 tbs of oil, and salt (amount dependent upon personal preference). 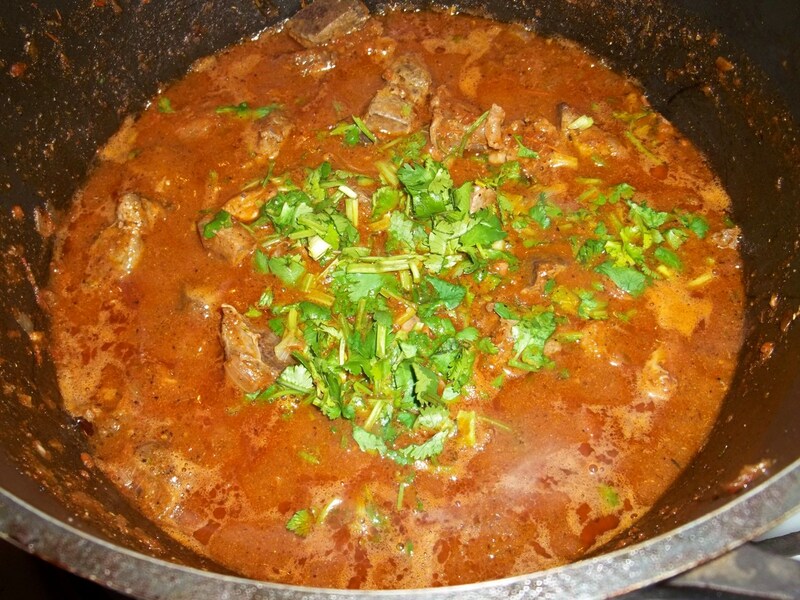 Classical Khaurma does not use tomatoes but they are usually included in present day Khaurma recipes. 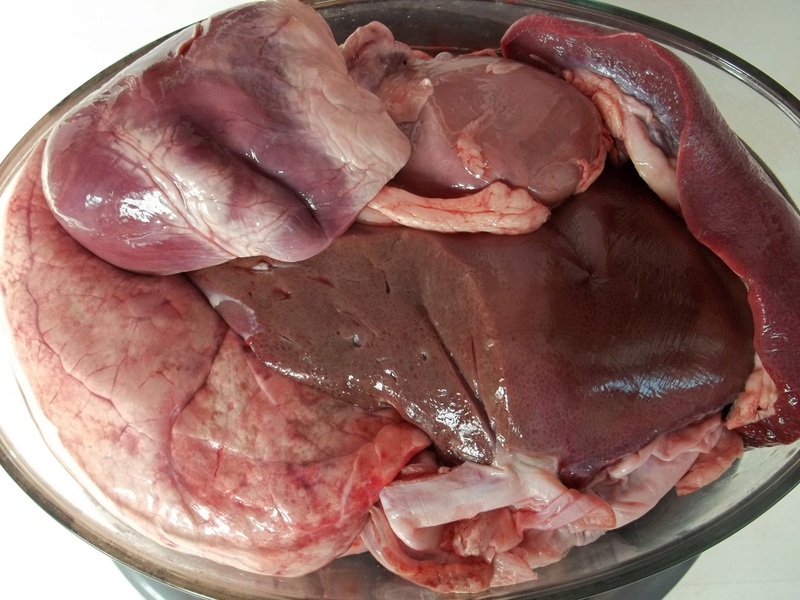 Preparation: Thoroughly wash the pig heart, liver, kidneys, spleen and lungs and cut into small to medium size cubes. 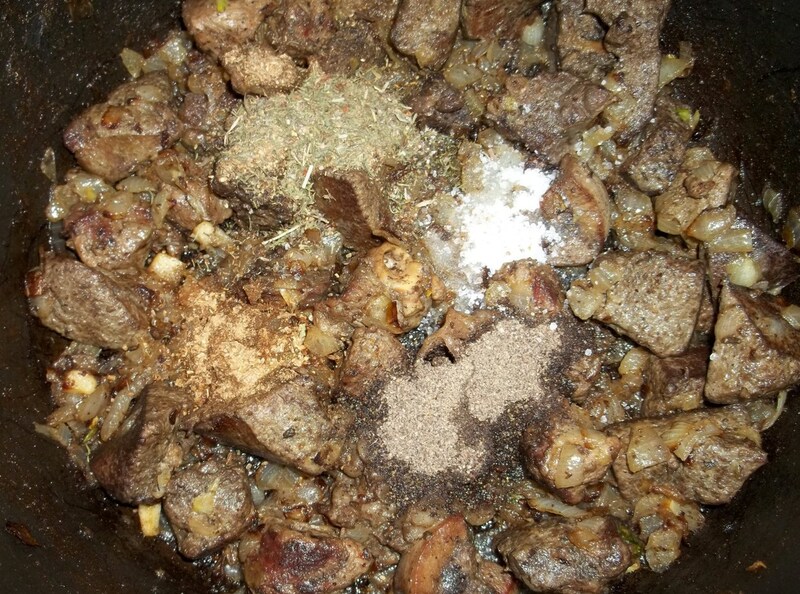 Add to a pot with 300 ml of white wine and 200 ml of water. Cover and heat on a low temperature for at least 2 hours, until the liquid disappears. Stir occasionally. 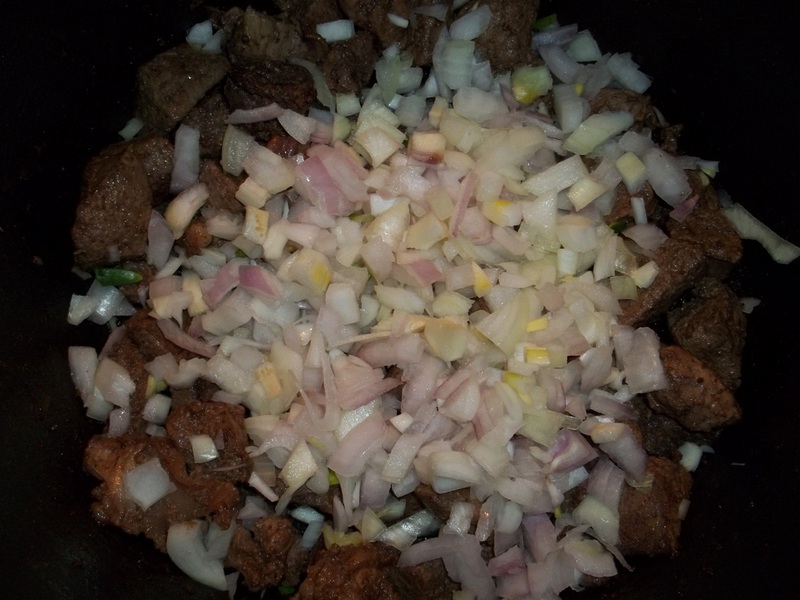 Chop the onions and add to the pot, together with 4-5 tbs of oil. Stir and cook on a medium temperature for 5-6 minutes. Add 2 heaped tsp of dried Summer Savory, 1 level tsp of dried caraway, 1 tbs of black pepper, and salt (amount dependent upon personal preference). Stir thoroughly. Heat on a low temperature for 2 minutes. 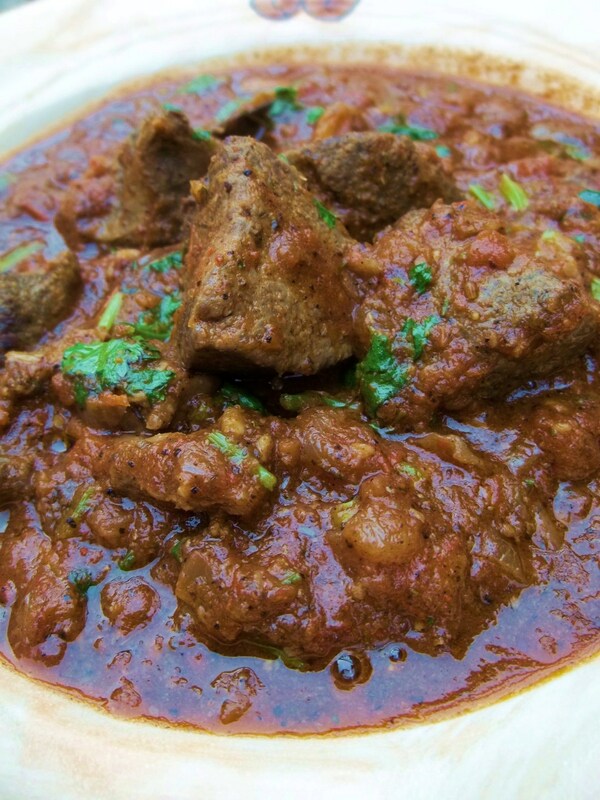 We prepared a spicy tomato sauce instead of using fresh tomatoes. 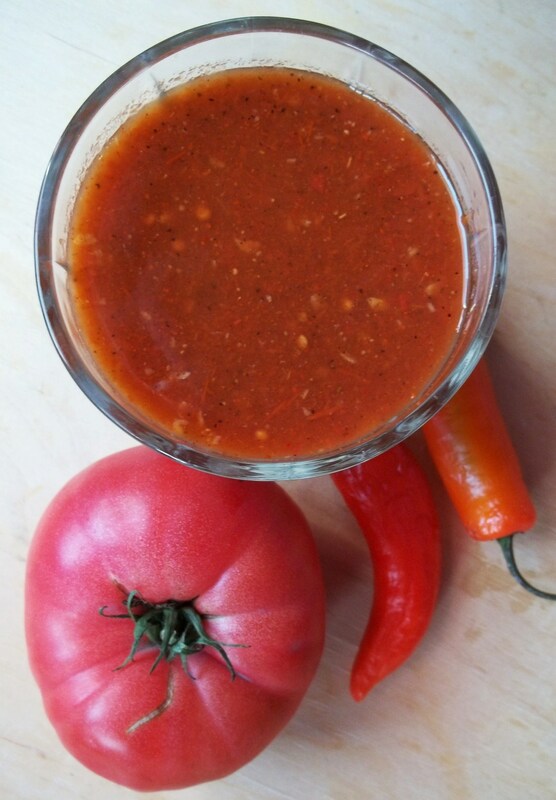 If you choose to make a tomato sauce instead of using fresh tomatoes click here to see a recipe. 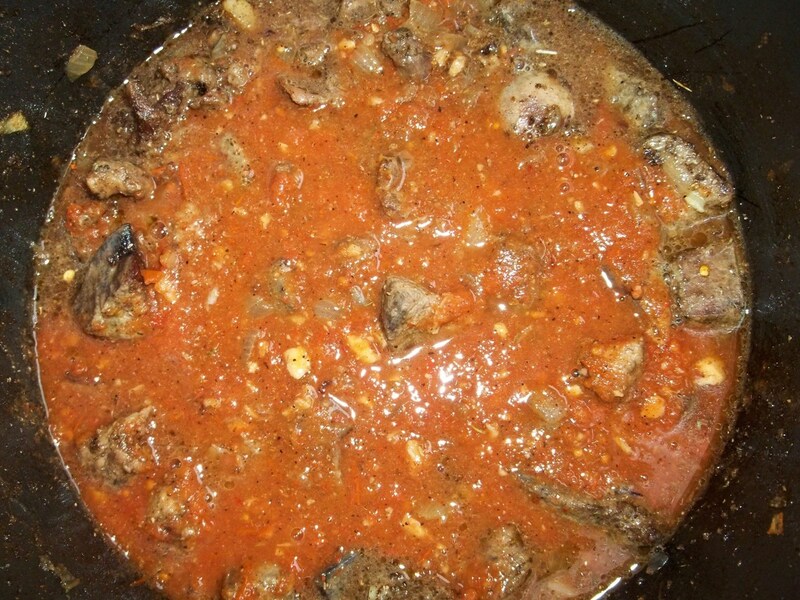 Add the tomato sauce and 1 crushed clove of garlic (optional) to the pot and stir. If you are using fresh tomatoes; peel them, cut into small pieces and add to the pot, together with 150 ml of water and 1 crushed clove of garlic (optional). Stir and heat on a medium temperature for 5 minutes. Add 30 grams of fresh green coriander. Stir and remove from heat.